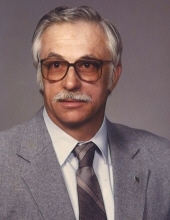 William Wilson “Bill” Rowe, 89, husband of Wilma (Turner) Rowe of Staunton, passed away Tuesday, October 30, 2018 in the Shenandoah Nursing and Rehab in Fishersville. Mr. Rowe was born on May 8, 1929 in Akron, Ohio, a son of the late Wesley Romer and Zora (Rhea) Rowe. Bill was a member of the Cherryvale United Methodist Church and held several offices in the church, including Treasurer. He was also a member of the “Romeo” Group. Bill was a veteran of the United States Army, serving during the Korean Conflict and retired from the Virginia Department of Transportation as a draftsman. After retirement, he worked in different Antique Stores throughout the area and enjoyed traveling, searching for an antique treasure. Surviving in addition to his wife of sixty-one years, are two sons, Darrell Rowe, Sr. of Staunton and David Rowe and his wife Roxane of Waynesboro; a daughter Debbie Burkholder of Staunton; and six grandchildren, Darrell Rowe, Jr., Joseph “Joey” Rowe, Justin Burkholder, Tate Burkholder, Colby Rowe, and Peyton Rowe. A Graveside service will be held 10:00 a.m. Friday, November 2, 2018 in the Oaklawn Memory Gardens. A Celebration of life will follow at 11:00 a.m. in the Cherryvale United Methodist Church by Rev. Clayton Payne. It is suggested those desiring make memorial contributions to the Cherryvale United Methodist Church, 709 Cherry Hill Road, Staunton, Virginia 24401. To send flowers or a remembrance gift to the family of William Wilson "Bill" Rowe, please visit our Tribute Store. "Email Address" would like to share the life celebration of William Wilson "Bill" Rowe. Click on the "link" to go to share a favorite memory or leave a condolence message for the family.